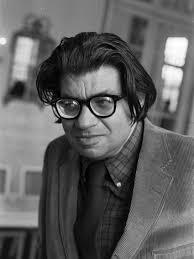 Morton Feldman’s 75-minute work dedicated to his friend John Cage was written in 1982. Mark and Aisha set out to draw the listener into the charged space between the performers. Our new disc of music by Matthew Shlomowitz includes Avant Muzak (2010) and Popular Contexts 7: Public Domain Music (2014), both performed by asamisimasa, and Popular Contexts 8: Five soundscapes for a contemporary percussionist (2015) performed by Håkon Stene. Our third release presents eight new works composed and performed by cellist Séverine Ballon; this is her debut disc as a composer. Both composed in 1964 for voice and pre-recorded 4-channel surround sound, our new binaural recordings of these seminal works are something of a landmark: the tape parts have been cleaned up and re-mastered and the binaural recording method recreates wonderfully the 3-D listening experience of live performance. The result is a welcome clarity in the sound, and a new fidelity to the score.